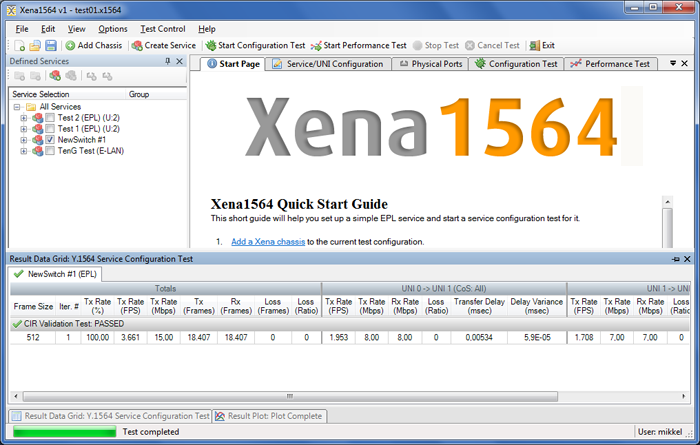 Valkyrie1564 is a free PC application that lets you analyze synchronous Ethernet and perform the Y.1564 methodology using one or more Xena test chassis. Y.1564 is the ITU-T standard for turning up, installing and trouble-shooting Ethernet-based services. Formulated as an improvement over RFC2544, it is the only standard test methodology that allows for complete validation of Ethernet service-level agreement’s (SLAs) in a single test. 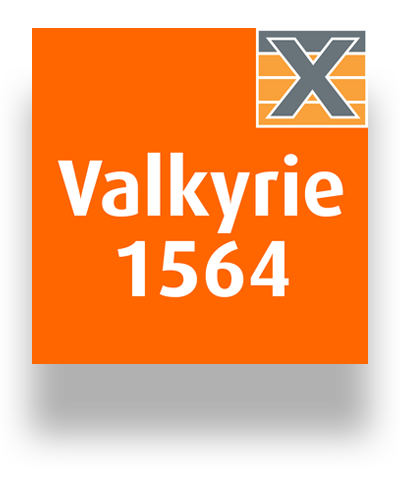 Valkyrie1564 provides full support for both the configuration and performance test types described in Y.1564. It is installed together with ValkyrieManager and uses the same terminology. The simple intuitive GUI makes it easy to connect one or more ValkyrieCompact and/or ValkyrieBay chassis for testing Layer 2 and Layer 3. 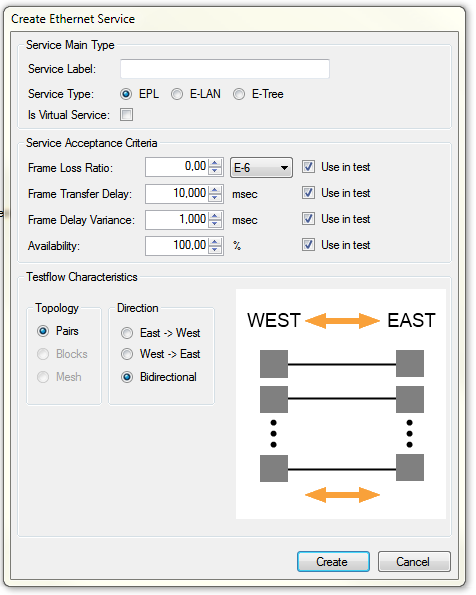 You can define multiple Ethernet services and organize them in a custom folder hierarchy. Valkyrie1564 supports different network topologies and traffic flow directions, and can be used for either IPv4 or IPv6. Via Valkyrie1564, you can define the protocol layers supported by each UNI (Ethernet, Customer and Service VLANs, MPLS, IP and UDP) as well as defining either per-UNI or per-CoS bandwidth profiles for each UNI, plus you can specify CoS-to-DSCP mapping. Test reports can be generated in both PDF and XML format and there are extensive configuration options for fine-tuning the tests. Committed Information Rate (CIR) Defines the maximum transmission rate for a service where the service is guaranteed certain performance objectives. These objectives are typically defined and enforced via SLAs. Defines the maximum transmission rate above the committed information rate considered as excess traffic. This excess traffic is forwarded as capacity allows and is not subject to meeting any guaranteed performance objectives (best effort forwarding). 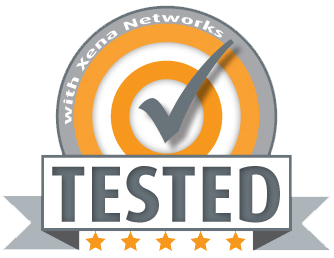 Supported hardware All Xena testers and all port speeds from 10/100/1000M, 10G, 40G, and 100G.